First script reading for upcoming SBS drama series “Nokdu Flower” (literal title) took place January, 2019 at SBS Ilsan Production Center in Tanhyun, South Korea. Main cast members including Cho Jung-Seok, Yoon Si-Yoon, Han Ye-Ri, Choi Moo-Sung, Park Hyuk-Kwon, Seo Young-Hee, Min Sung-Wook, Ahn Kil-Kang, Kim Sang-Ho and Jang Gwang attended the script reading. The first script reading took about 5 hours to finish. “Nokdu Flower” is now scheduled to first air April 26, 2019 in South Korea (takes over SBS’ Friday & Saturday 10 PM time slot after “The Fiery Priest.”). 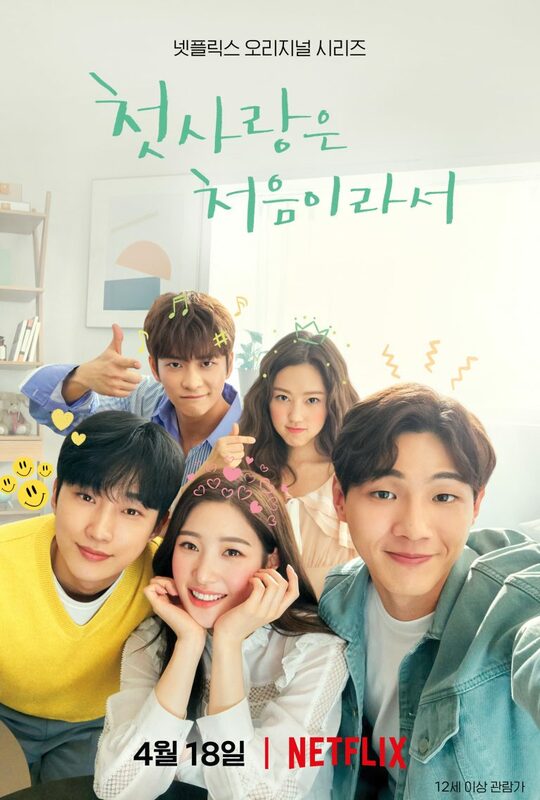 Teaser poster and first still images for Netflix drama series “Because It’s My First Love” (literal title) starring Ji Soo, Jung Chae-Yeon (DIA), Jin Young, Choi Ri and Kang Tae-Oh. The teaser poster and first still images features all five of the main cast members. The drama series follows 5 twenty year old friends who begin to live together. “Because It’s My First Love” will be available to stream from April 18, 2019. Choi Jin-Hyuk and Son Hyun-Joo are cast for lead roles in KBS2 drama series “Justice.” The drama series will have Choi Jin-Hyuk play high profile attorney Lee Tae-Kyung. His clients are wealthy individuals. Son Hyun-Joo will play construction company owner Song Woo-Yong who refers wealthy clients to attorney Lee Tae-Kyung. They come in conflict over a series of cases involving missing actresses. The drama series is based on web novel “Justice” by Jang Ho and illustrated by Elja. “Justice” first airs July, 2019 (takes over KBS2’s Wednesday & Thursday at 10PM time slot after “Dan, Only Love“). 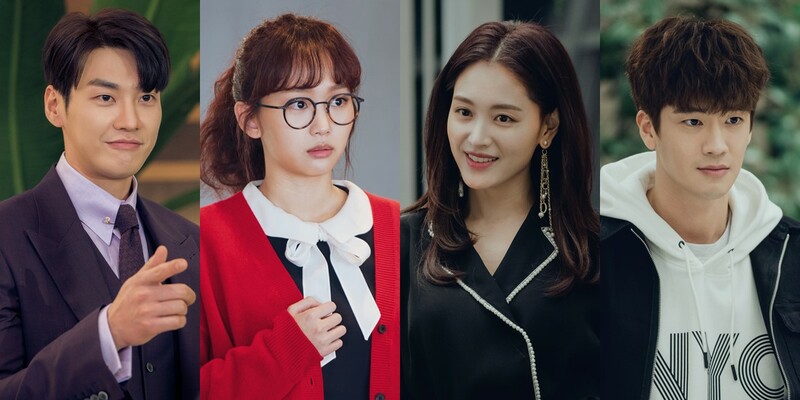 Meanwhile, here the first still images of the four main characters played by Kim Young-Kwang, Jin Ki-Joo, Kim Jae-Kyung and Koo Ja-Sung. The screenplay for the drama series revolves around a cold-hearted boss Do Min-Ik (Kim Young-Kwang ) and his hot-tempered secretary Jung Gal-Hee (Jin Ki-Joo). First teaser trailer added for upcoming OCN drama series “Voice 3” starring Lee Ha-Na and Lee Jin-Wook. The teaser trailer begins with the voice of Kwon Yool as Bang Je-Soo from season 2 with the statement “Kang Kwon-Joo is going to die.” The teaser trailer shows an explosion from the end of season 2. In season 3, Lee Ha-Na as Kang Kwon-Joo experiences hearing problems due to the explosion. “Voice 3” first airs May, 2019 in South Korea. 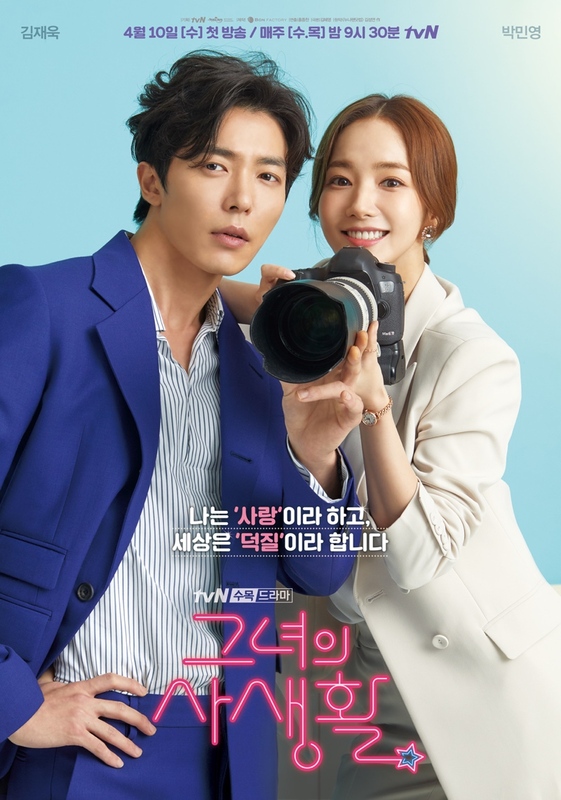 Here’s the main poster for upcoming tvN drama series “Her Private Life” starring Park Min-Young and Kim Jae-Wook. Caption on the poster states in Korean “I call it ‘Love,’ and the world calls it ”Deokjil.” The Korean slang word deokjil refers to crazy obsessed fans. Meanwhile, below are the first still images of Park Min-Young as Sung Deok-Mi and Kim Jae-Wook as Ryan from the drama series. “Her Private Life” first airs April 10, 2019 in South Korea. First script reading for upcoming KBS2 drama series “Dan, Only Love” (literal title) took place February 18, 2019 at KBS Annex Broadcasting Station in Yeouido, South Korea. 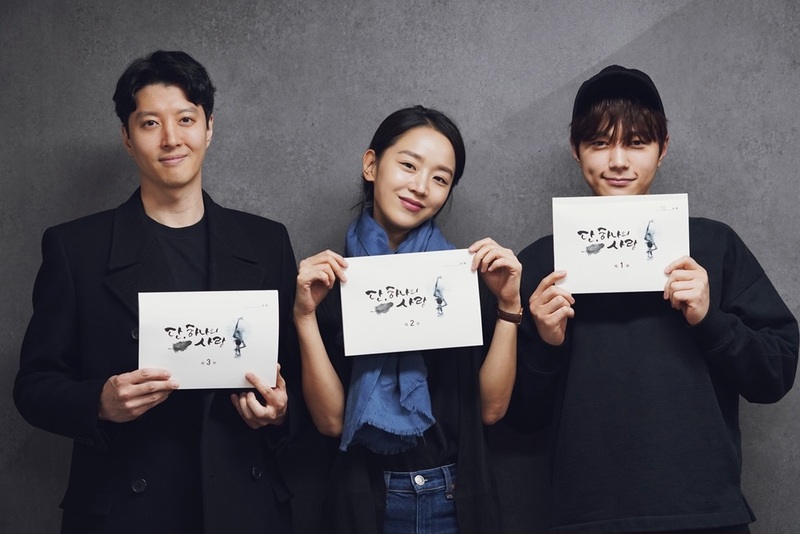 At the first script reading, main cast members including L (INFINITE), Shin Hye-Sun, Lee Dong-Gun, Kim Bo-Mi, Do Ji-Won and Kim In-Kwon were in attendance. 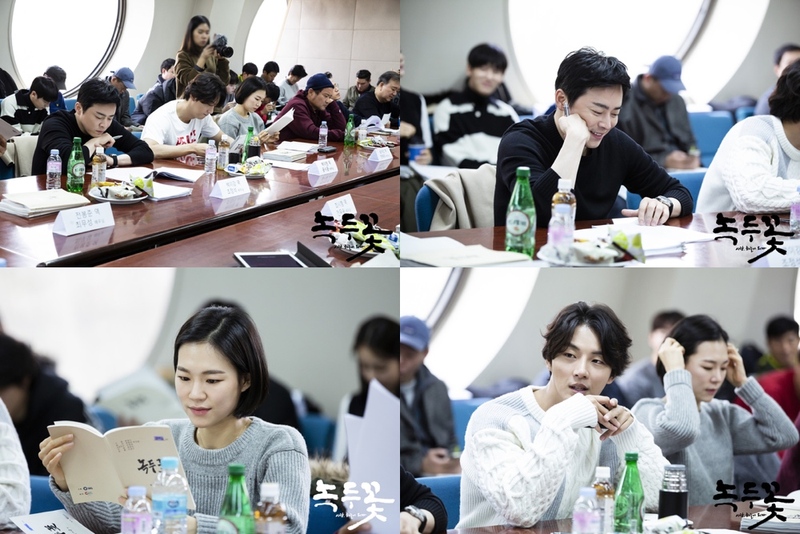 The first script reading took about 4 hours to complete. In the drama series, L (aka Kim Myung-Soo) plays an angel who takes on a mission. “Dan, Only Love” first airs May 15, 2019 in South Korea. 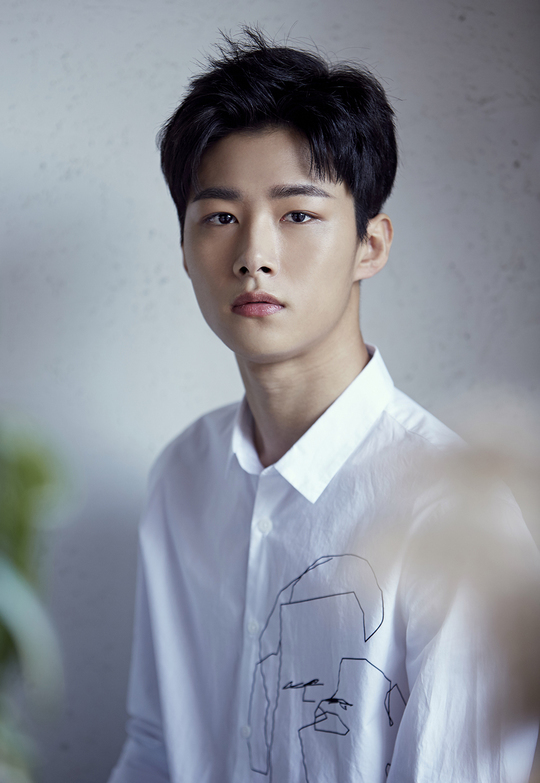 Seo Ji-Hoon is cast in new JTBC drama series “Flower Crew: Joseon Matchmaking Maneuver Agency” (literal title). Seo Ji-Hoon will play Lee Soo. His character was once an ordinary blacksmith, but he somehow became the King of Joseon. Meanwhjile, Kim Min-Jae was already cast to play one of the 3 handsome men in the Flower Crew Joseon Matchmaking Agency. “Flower Crew: Joseon Matchmaking Maneuver Agency” will first air September 2, 2019 in South Korea. Meanwhile, below are character cuts of Lee Yo-Won as Lee Young-Jin, Yoo Ji-Tae as Kim Won-Bong and Lim Ju-Hwan as Fukada. For Lim Ju-Hwan, his character of Fukuda is a Japanese prosecutor. He is well-mannered and begins to have feelings for Lee Young-Jin (Lee Yo-Won). The drama series is set in 1919. “Different Dreams” first airs May, 2019 in South Korea (takes over MBC’s Saturday 9PM time slot after “Love in Sadness“).